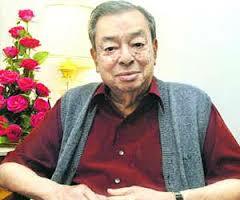 A man with a vision, a man with a mission, a man with an eye for a revoltution… that’s ‘Milkman of India’… Verghese Kurien. He was born today in 1921. We all know him as the ‘Father of White Revolution’ in India. His ‘billion litre idea’ of ‘Operation flood’, not only made India self sufficient but also made India the world’s largest milk producer. He experimented with ways to produce milk powder from buffalo milk. This culminated in the establishment of India’s first ever milk powder plant. The White Revolution started by him led to the development of Mother Dairy. At least 30 institutions have been established by Kurien which are owned by farmers. Operation Flood culminated with around 72,000 villages in India producing milk. He authored ‘I Too Had A Dream,’ an inspiring narrative about the empowerment of farmers and development of milk cooperatives India. Because of his invaluable contribution to the dairy industry, his birthday, the 26th of November, is now celebrated as National Milk Day. He also made India self-sufficient in edible oils, taking on a powerful, entrenched and violently resistant oil supplying lobby. 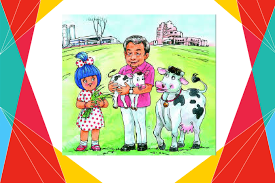 He helped establish the Amul cooperative, today India’s largest food brand. Three-fourths of the price paid by the consumer goes into the hand of the producing dairy farmer, the cooperative’s owner.